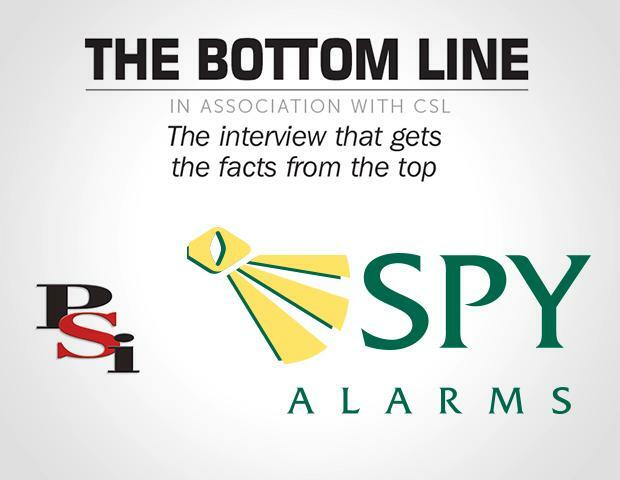 This month Simon Banks talks to Tom Howard, Owner of Spy Alarms. Operating throughout the South East, Spy offer professional services to home and business owners across London, Sussex, Kent and Surrey. Spy recently completed a series of acquisitions including SPE, Swift, BCS, SDS and Guardian. What was the decision behind this type of growth strategy? Organic growth is extremely hard in a market as mature as ours. We all offer largely the same products, whilst the annual spend on security systems is often not the largest cost for either a business or a household. To offer a meaningful reason to switch supplier is difficult, so winning new business from competitors is challenging and expensive to do. Instead we decided to grow through acquisition, which is what we have done over the last 6 years. Which criteria did you use to select acquisition targets? I suppose the primary one is geography. When we started we were based in Canterbury covering Kent, now we cover the entire South East from three offices. Our increased coverage has happened in stages as we have acquired businesses on our existing boundary that give us density in a new area. Unfortunately, it wouldn’t matter how good the business was if it was based in Glasgow, it’s simply too far away to manage. Within our patch we will meet with anyone who is interested in exploring a sale. What challenges did you face as part of this? Most of the businesses we have acquired have had owners that have built their businesses over the last 30-40 years and want assurances that this hard work ends up in the right hands. Understandably vendors are sensitive towards employees within the business, as well as the customer base, many of whom may be friends and relatives. We have focused on these sensitivities throughout this process to get the best deal for everyone involved. We recognise the value of established companies with a strong customer base, a trusted brand and long-standing staff who know the business inside and out. As part of your growth plans, how important is technology? Ensuring we have the best products and services on offer to our customers is very important to us. Customer retention is the key and you can only do that by supplying your customers the best the market has to offer. For example, we use CSL products for our signalling. The UDL functionality allows us to reduce disruption to our customer base by enabling remote maintenance. We know security is a grudge purchase, so asking our customers to take time off work adds to that resentment. In addition, this new technology allows us to prepare for the threat of the global players (Amazon, Google, etc) who are investing heavily in the Smart Home space. This is especially true in residential properties where our industry faces a real challenge. Our sector as a whole was certainly slow to wake up to this risk but we are now seeing some good products coming on the market that enable us to offer a Smart Home solution of our own.